My copy sounds terribly distorted, must be a victim of the loudness war. All tracks are lossy/mp3 sourced on this CDR. Track 1 is avilable lossless from DFA's own remix album. Push buttons from there. Despite being free (thank you! ), we're not allowed to Direct Link to file itself. Note presence of "Survivalism" and "Only" remixes there as well. 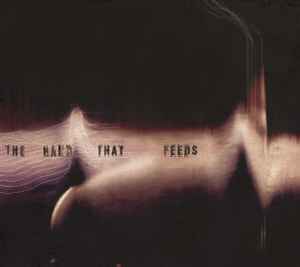 The recent round of remixes for Nine Inch Nails have been odd, and this might be the capstone. Photek's remixes were more fitting of the pop-industrial image of NIN than these disco-house reworkings, but I am getting rather hooked on these. If you don't know DFA, they're part of the new dance-rock or disco-punk generation, and they bring that feel to this single. The first cut on the single is the vocal version, which softens Trent's vocals by directly backing it with handclaps. The mood is set with funky bass guitars, something sounding like a rhodes keyboard, and some synths. The dubs are even further removed from the original track, further into the territory of DFA's style. The DFA Version 1 might even be considered a jam track, where the keyboards go all out, and later a huge percussive breakdown. If you're looking for something industrial or angry at all, steer clear of this. If you're looking for more good DFA material, this is quite a gem.